JobBoard Information Just For You! A JobBoard? What are some of the better ones? Have you thought about looking for a job on a job board, or posting your resume online? Because I receive so many inquiries asking about job openings, I decided to provide information about job boards on this website. Each of them are easy to use and offer information about jobs in your area. You can use a job board in a variety of ways including searching by job, by area and even setting up keywords which are stored and used to search for future job matches. Also, take a look at Indeed.com. This site pulls job listings from many different sources, so if you want to do a thorough search, this is the place to do it. There are also forums where you can post questions about specific companies and jobs to get other folks' opinions. Everyone knows about Monster.com, so if you haven't tried it, take a look. It's huge and offers more than just a job board - great information, too. Find a Job Already is a site similar to Indeed.com. Since each job board pulls from different sources, it's important to check out each one. 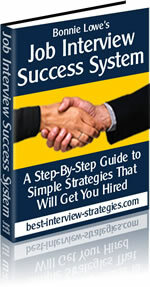 This site also offers a neat list of 101 Ways to Find a Job, which is worth reading. There are other job sites out there, but these four will give you a great start on your job search.